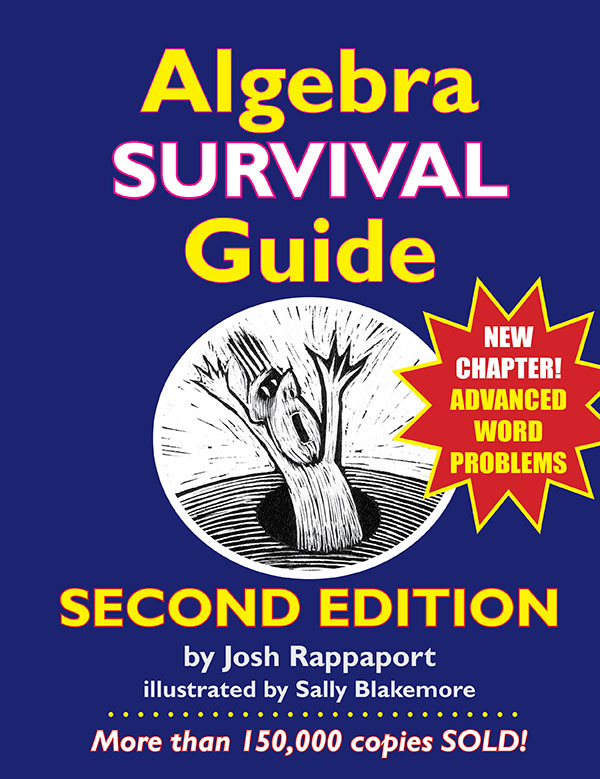 Algebra Survival Guide — Second Edition — Fresh Off The Presses! 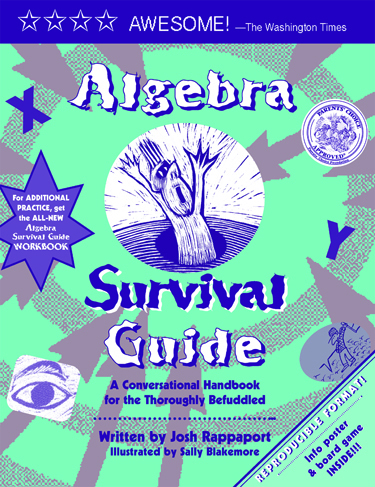 The Algebra Survival Guide — Second Edition is here, but not yet released to the general public. Now’s your chance to order it at a 25% discount through April 10th. Just go to SingingTurtle.com. But first, let me tell you about what’s new … a massive, 62-page chapter on advanced story problems. 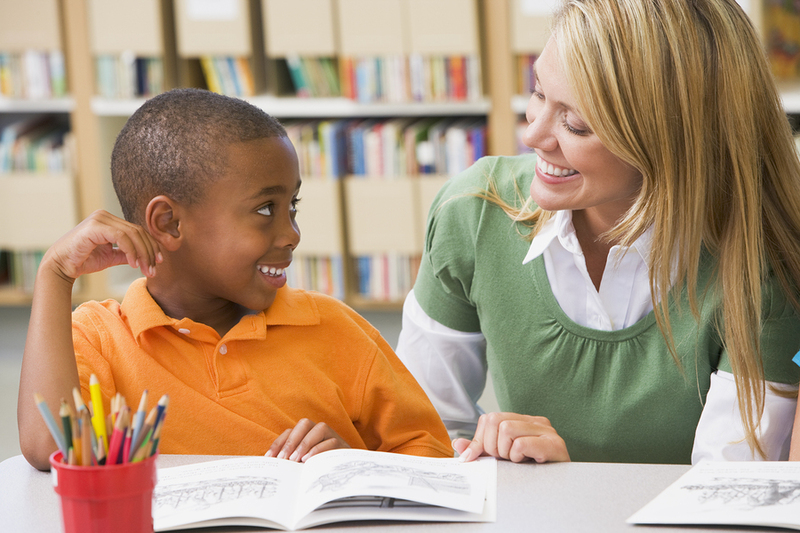 It’s no secret that algebra gives students the ‘jitters,’ and word problems give them the ‘shakes.’ As a dastardly duo, the word problems of algebra are just about as nerve-wracking as anything in the teenage years. The Algebra Survival Guide — Second Edition takes a hard look at algebra’s word problems and offers time-tested advice for cracking them. 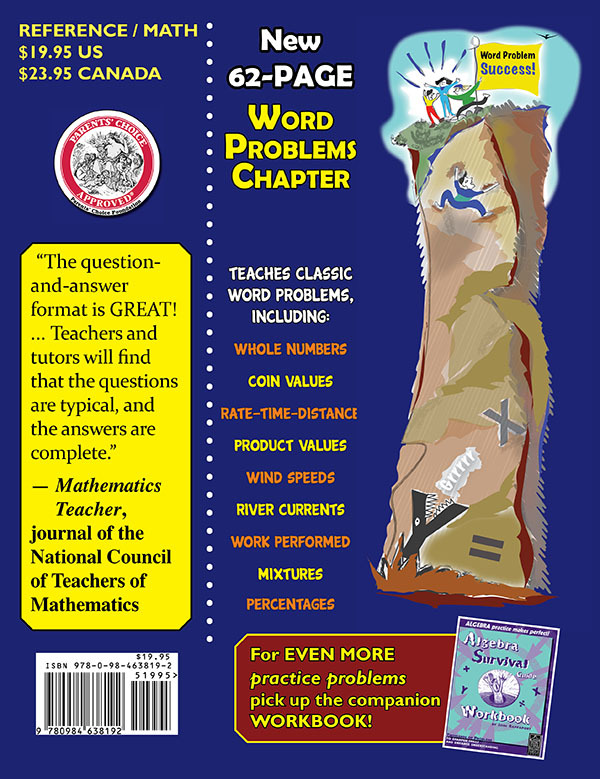 With a new 62-page chapter devoted to these word problems, the new edition tackles the ultimate math nightmares of the puberty years: problems involving rate, time and distance, work performed, and mixture formulas, among others. Added to the pre-existing 20-page introduction-to-story-problems chapter (in the Algebra Survival Guide — 1st Edition), it’s like having a book within a book. The many cartoons not only provide well-deserved comic relief for math learners, they also offer a visual way to grasp algebra’s challenging abstractions. 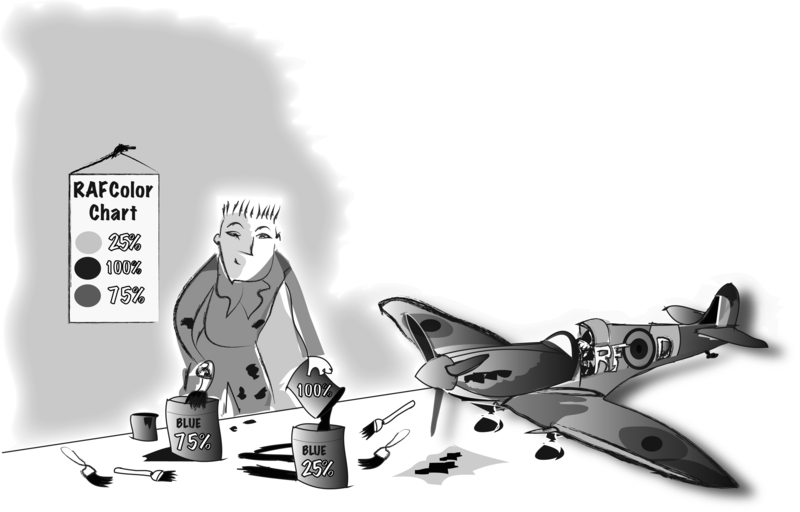 Example: The above cartoon illustrates a real-world mixture problem by showing different percent concentrations of paint. With all of these features, the Second Edition Algebra Survival Guide is ideal for homeschoolers, tutors and students striving for algebra excellence. Properties, Sets of Numbers, Order of Operations, Absolute Value, Exponents, Radicals, Factoring, Cancelling, Solving Equations, and the Coordinate Plane. So, have some fun learning algebra! Algebra Survival Guide wins an AWARD! 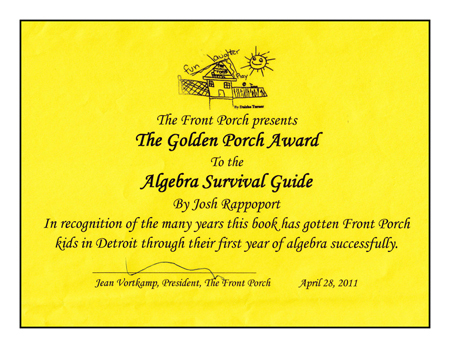 My book, the Algebra Survival Guide, has just won an award from a student tutoring organization in Detroit, Michigan.